Despite the name, there’s no melon in the dough or the filling of Japanese melon pan (typically). Pan simply means bread. The palm-sized sweet buns are richly yeasted and buttered, with almost the texture of a soft dinner roll. 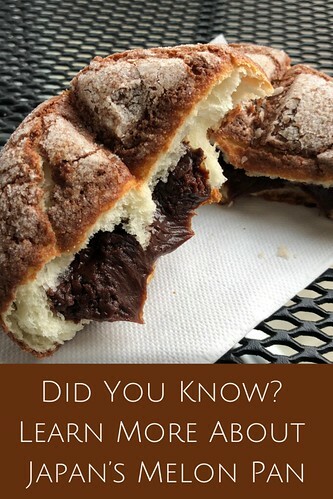 But the buns have a unique feature that gives them a satisfying crunch – they’re blanketed and baked with a thin layer of sugar cookie dough. When traveling in Japan you’re likely to find this sweet treat readily available in bakeries. 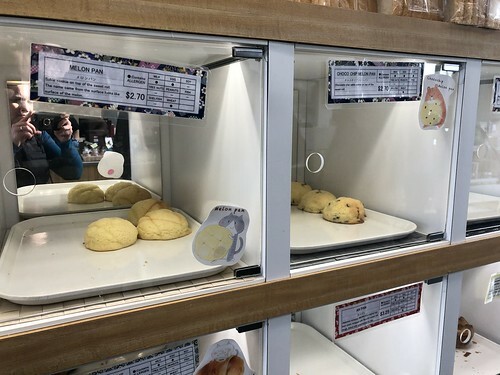 You can also indulge in a tray of melon pan in well-stocked Japanese bakeries in other parts of the world, including the United States. Here’s just a few interesting tidbits about melon pan that may just convince you to track down your nearest Japanese bakery, or make some for yourself at home. Of course, there are theories. One popular guess posits the bread’s name simply came from the buns’ signature shape. The grooves etched into the buns before baking make it look like a musk melon. Others have floated the idea that “melon” evolved from the Japanese word for meringue. And still other origin stories chart certain bakers who may have made the first melon pan. The name and shape of melon pan can vary. Bakeries in Hiroshima and Kobe bake up a football-shaped melon pan. And some bakeries make specialty versions of melon pan – including one made to look like a turtle and another to look like a baseball cap. The buttery, airy bun acts as a canvas for any number of flavors – and fillings. 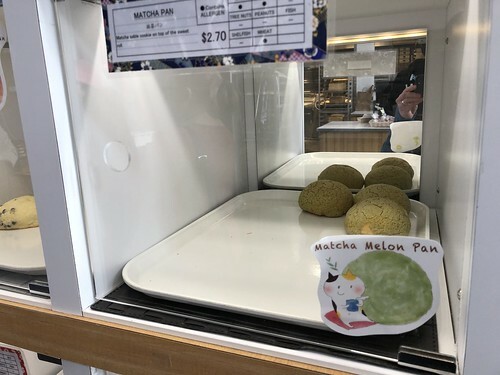 Beyond the just-sweet-enough typical melon pan that has sugar cookie coating and coloring, look for varieties like matcha, which makes creating the turtle shapes much easier, and chocolate chip. 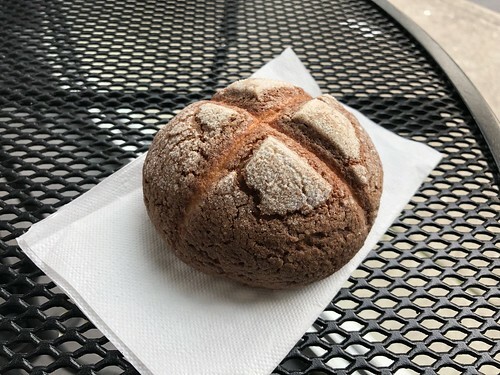 My local Japanese bakery offers a double chocolate melon pan with a smooth filling that has all the richness of mousse and one filled with red bean paste. 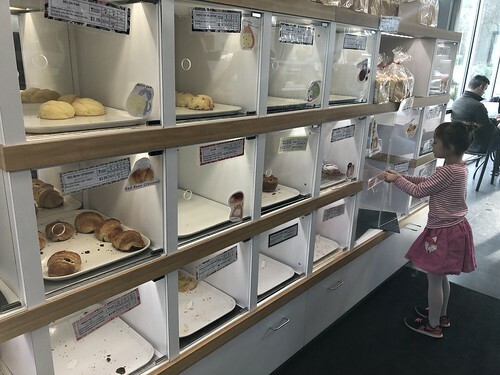 Don’t be surprised to find Japanese bakeries that have put their own spin on this sweet favorite – some fill melon pan with ice cream or white bean paste. Satisfy your sweet tooth by gathering a collection of melon pan and other yummy bakery finds. 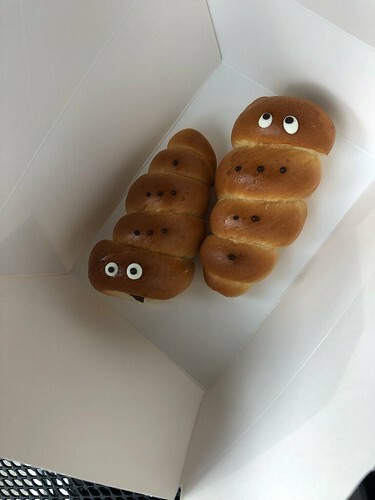 For example, our neighborhood Japanese bakery serves playful cornets – horn-shaped sweet bread filled with chocolate custard and outfitted with little eyes. 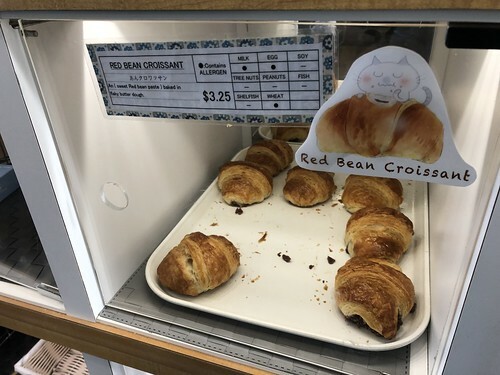 There’s red-bean stuffed buns and an assortment of croissants. Japanese cheesecake is available for take out, too. And they serve savory buns with fillings like curry, tonkatsu, and sausage. #1 You can make melon pan at home – really! If you’re already familiar with dinner roll and sugar cookie recipes, you’re well on your way to making melon pan. The recipe involves a separate dough for each. You can even take a cue from Japanese bakers and put your own personal touch on the sugar cookie flavor choice and filling. I like the step-by-step instructions available from Cooking with Dog. The bread dough gets a double dose of rising – first, after you’ve created the dough and second, once you’ve shaped the individual dough pieces into balls and then shrouded them with cookie dough. While melon pan does store well, I prefer to eat them just after the sweet buns have cooled. Kristen J. Gough is the Global Cuisines Editor for Wandering Educators. Her new site, Culinary Spelunking, is in the works. All photos courtesy and copyright Culinary Spelunking, and taken at her local Japanese bakery, Oyatsupan.